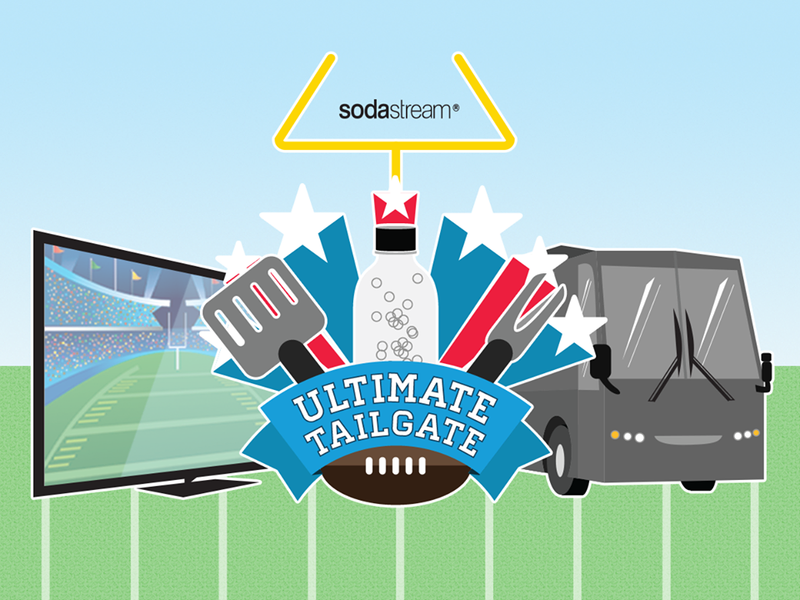 SodaStream is giving away one lucky fizzy fan's dream of the ultimate tailgate. A decked-out, luxury RV rolls up to your house. You and your 20 fizziest friends are lounging in comfy seating watching pre-game coverage on flat screen TVs. There's a personal chef manning the grill and a bartender shaking up some cocktails. As your team scores that winning touchdown, you raise a glass of SodaStream in celebration. For one grand prize winner, this dream party will become a reality. Enter now for your chance to experience the Ultimate Tailgate on game day!